To judge by the number of copies in which it is preserved, this trio must have been one of the most popular instrumental works by either of the Graun brothers. As usual the scoring varies among the copies. 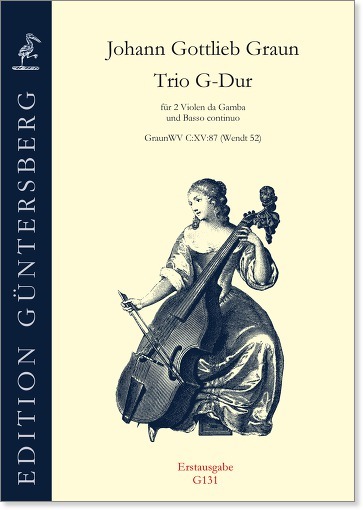 Our edition for two violas da gamba follows a copy of the Sing-Akademie which was recently recovered. The trio is musically very charming but it is not especially difficult to play. It augments the number of the known trios by Graun for two gambas to a total of four. 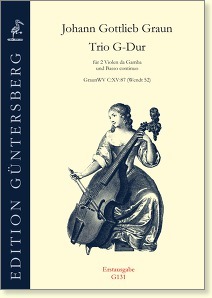 See also our version for flute and violin (G132).